This is an example of using a wide angle lens for this wedding photograph of a groom and bride in the field at Holly Hedge Estate. It actually could be taken anywhere in Bucks County or even in the region. 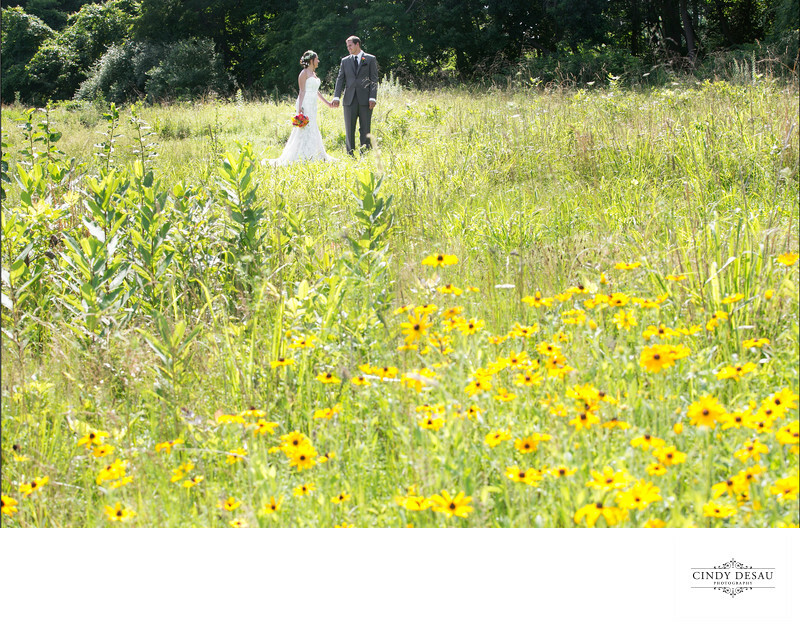 I used the yellow flowers as a frame, with most of them to the right in this photograph, while the couple is to the left. This creates a balanced photograph and pleasing composition.